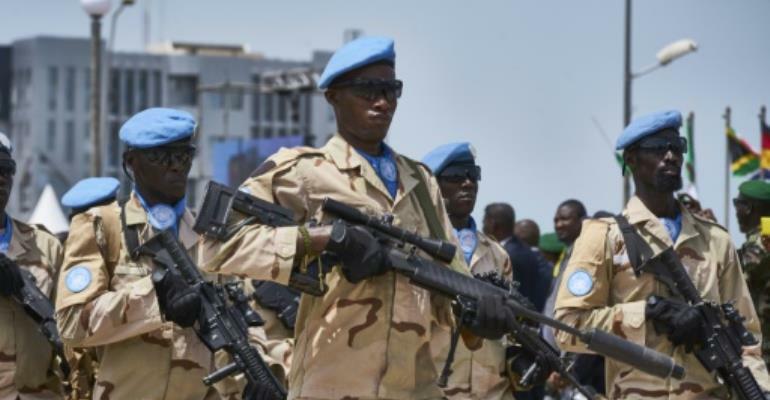 Declaring that peace efforts in Mali had faltered, the United States on Friday called on the UN Security Council to consider a possible major drawdown of the peacekeeping mission in the West African country. The council is scheduled to decide in June whether to renew the mandate of the 14,000-strong force known as MINUSMA that was established in 2013 after the jihadist takeover of northern Mali was beaten back. "Despite some progress in the last several months and after only modest progress in prior years, it's time to evaluate whether a peacekeeping mission in such an environment is the appropriate or effective solution to the problem set in northern Mali," said David Hale, the US under secretary of state for political affairs. The United States asked UN Secretary-General Antonio Guterres to provide options for a "significant adaptation" of MINUSMA before negotiations begin on extending the mission in June. The US move set up a showdown with France which has strongly backed MINUSMA after it sent its own forces to Mali to drive out the jihadists from the north. Mali's Prime Minister Soumeylou Boubeye Maiga warned that any partial withdrawal of MINUSMA could put at risk fragile gains made to contain the conflict in Mali. "Our country is acting as a dam against the terrorist danger and we must not underestimate the dimension or the capacity of this movement to move beyond our borders, or even beyond the continent," he said. Guterres urged world powers to continue their "full support to MINUSMA", arguing that security in Mali was key to the entire Sahel region, "which in turns affects global stability." The United States, the number one financial contributor to UN peacekeeping, has called for major cuts to blue helmet operations and pushed for missions to shut down if they are unable to advance peace. Washington has also bilaterally contributed $111 million to the five-nation G5 regional force set up to battle jihadists and which France also strongly supports. French Foreign Minister Jean-Yves Le Drian told the council that MINUSMA was "the only international presence in that region" that can support the Malian government in its efforts. The mission has lost dozens of peacekeepers in deadly attacks. Hale argued that the blue helmets were operating in "an environment far outside the bounds of traditional peacekeeping", facing extremists who are "mobile, smart, well organized, and not about to give up."